On Thursday, regime Supreme Leader Ali Khamenei spoke to a gathering of Basij (Regime’s main repressive force in dealing with protests in Iran) from across Iran. The speech was intended to boost morale among the Basijis and bolster their confidence in the faltering regime as the deadline for the second round of U.S. sanctions grows near. Khamenei called on the Basijis to fail the sanctions and to slam the United States. IRGC and Basij Repressive Forces Posed as “Inspirational”! Khamenei then characterized the widely loathed Basij Force as “a true image of the country” and “inspirational” to others, adding that the Basij and the Revolutionary Guards should fire freely whenever it was necessary. 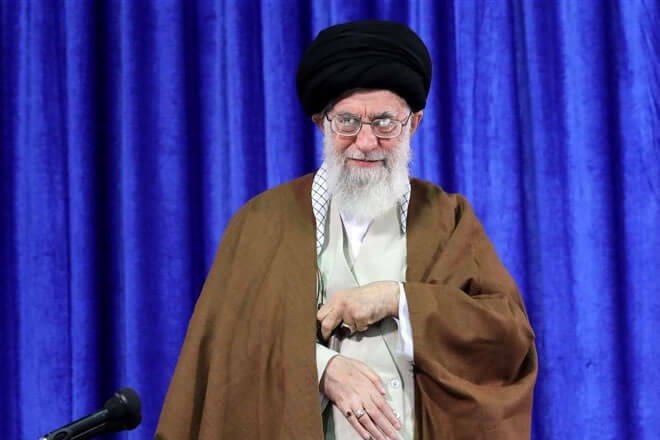 The Supreme Leader made reference to his own fears that the United States would overthrow the regime, saying: “The President of the United States has told some European leaders that you wait two-three months, after two, three months, the Islamic Republic will be thrown off.” He then confirmed that the survival of the Iranian regime depends upon meddling in the region and nuclear weapons testing and that the regime would fight to continue to do both. “These are also elements of our power. 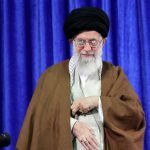 So the battlefield is here, the battlefield, the field of confrontation of arrogance with Islamic Iran, is all that is the cause of the Islamic Iran’s power … This is one of the areas of conflict,” Khamenei said. Khamenei referred to the free press, the Internet, and social media as the enemy and the equivalent of chemical weapons. He discussed the media’s continuous revelations of the regime’s corruption and crime, saying: “With the very dangerous means of the media … by trying to portray a fake image, they try to distract the thoughts of the Iranian people.” The regime banned the social messaging app Telegram earlier this year in an attempt to prevent it from being used by MEK activists to spread the news about the regime and information about upcoming protests and demonstrations. The ban was ineffective.